John Clark, Senior Sales Consultant for Top Value Fabrics, has announced his retirement date of August 3rd, 2018. 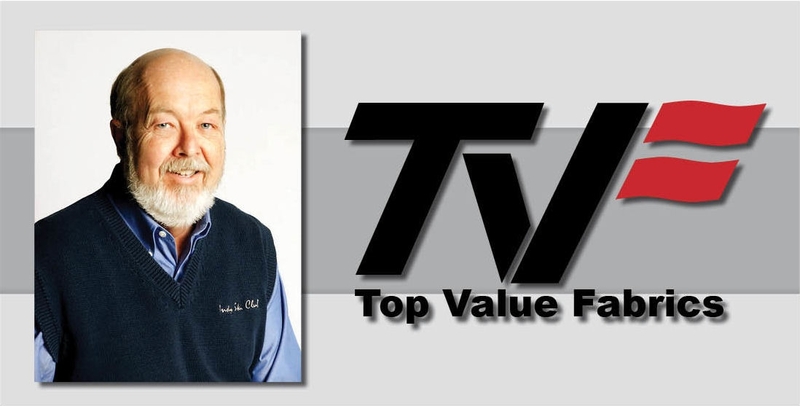 John Clark joined Top Value Fabrics on November 11th, 1996 and played a vital role in growing the industrial and recreational textile divisions for the past 22 years. Along the way, he was the point person for tradeshow setup and for TVF’s color card program until the creation of a formal marketing department. “John’s passion for customer service and his desire to go above and beyond is what helped him cultivate an extremely loyal customer base,” shares Bob Burns, TVF VP of Sales. A committed member of the TVF team, John exemplified TVF’s mission statement: Our employee ownership culture and unwavering dedication to excellence help our customers succeed every day. In recognition of John’s work, TVF has planned a retirement party to celebrate his achievements and send him off to enjoy his other passions: fishing, hunting, gardening, cooking, and spending time with family.